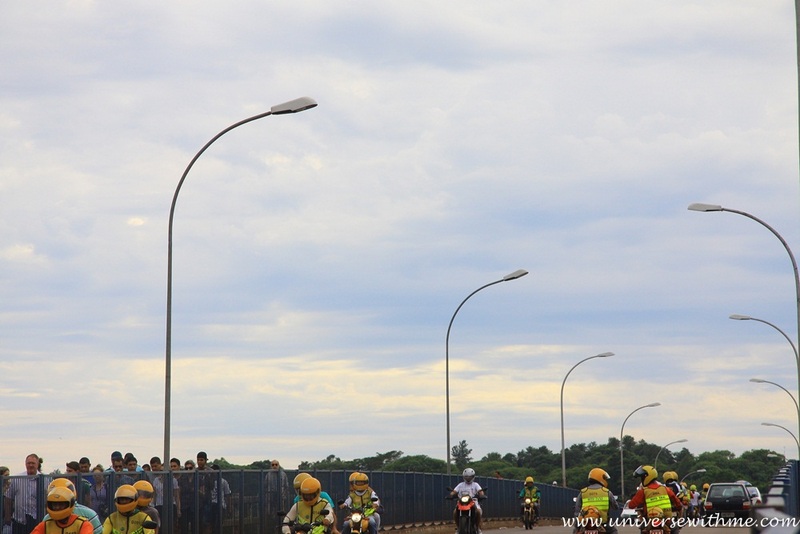 The border of Brazil and Paraguay is really busy that I want to pass quickly. There are many motor taxis on the bridge to cross the border. I feel so dangerous passing between them. Unfortunately when I cross the bridge, I find mistakes that I didn’t get stamp of Paraguay so that I have to go back. It is scaring?to ride a bike on bridge again. So when I come back to Brazil, I just push my bike on a sidewalk. 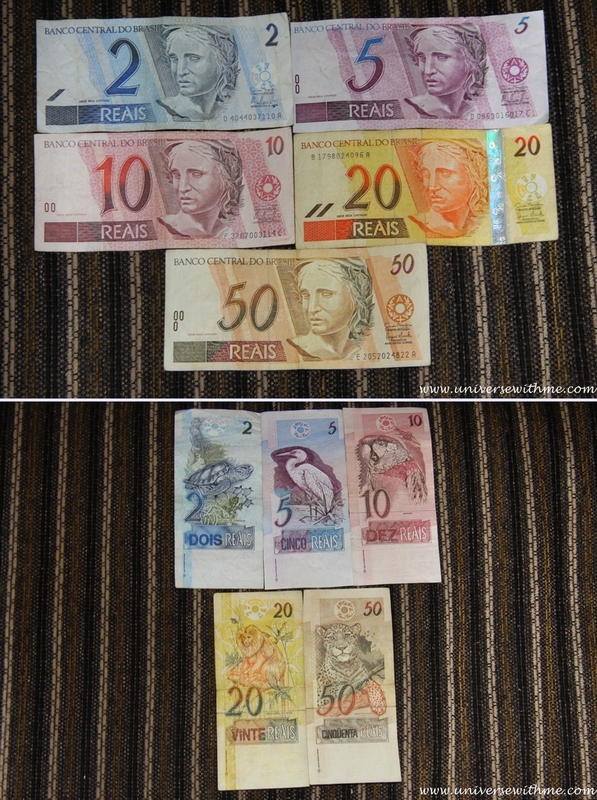 This is money of Brazil. 1$ is around 2.11 Real (Dec, 2012). It is so interesting that there are animals on all of the money. 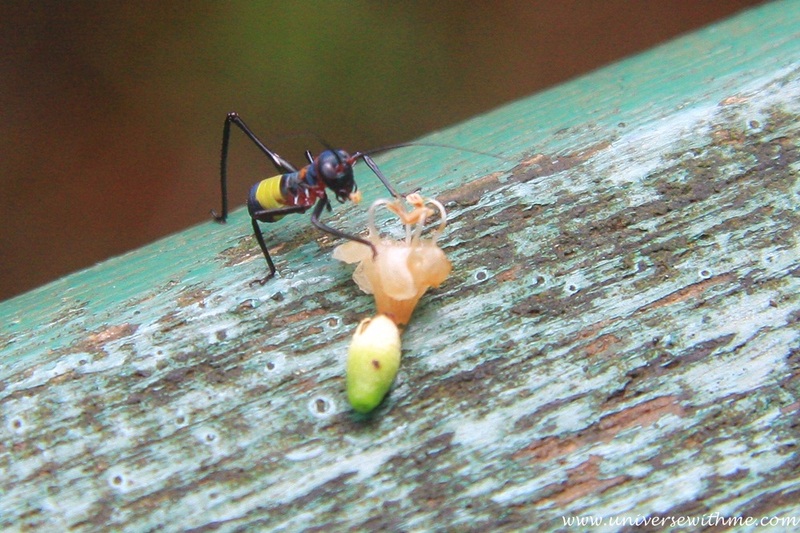 It is first time to see this kind of things. 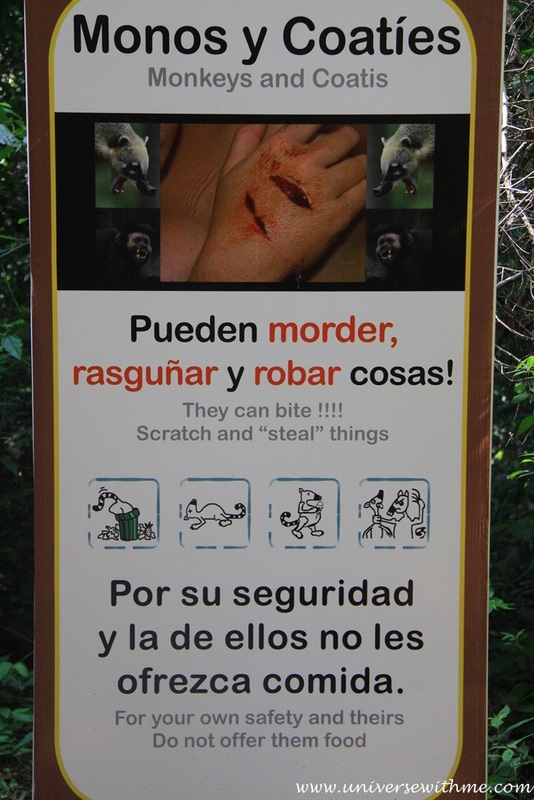 I think Brazil respects animal. 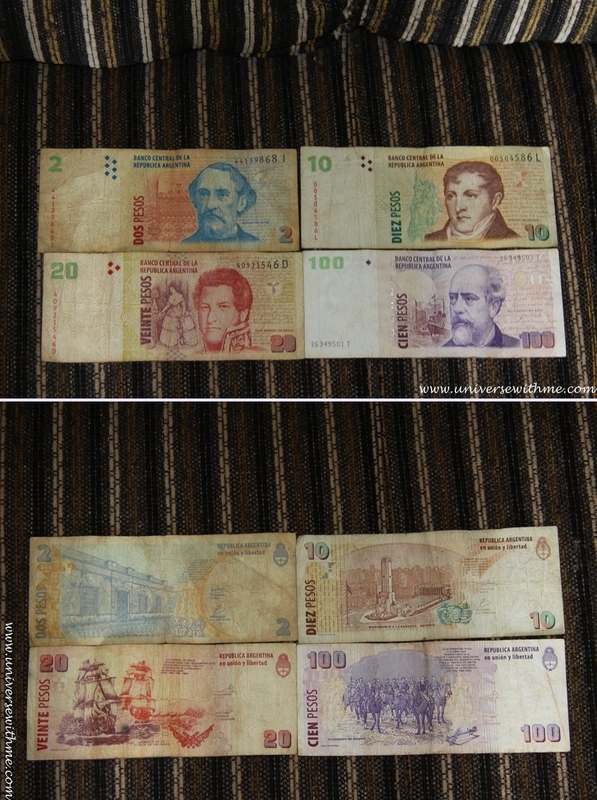 This is money of Argentina. 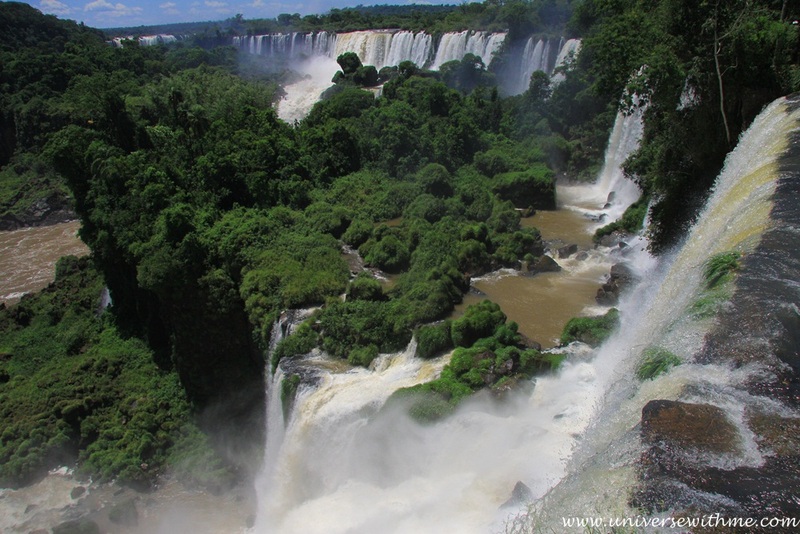 I have the plan to visit both side of Iguassu Falls in Argentina and Brazil so that I also prepare money of Argentina. I stay with Brazilian host for three nights. There are already French cyclists that they start from Brazil and have the plan to cycle all around South America. 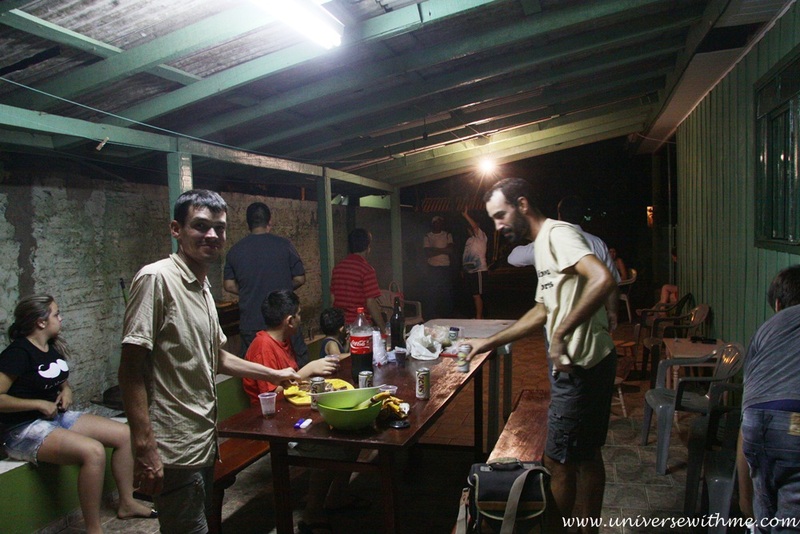 We go to friend of host home to have BBQ. This is Brazilian beer. It is my first time to see beer in small can which is 269ml! The right one on the picture is normal can we usually see. 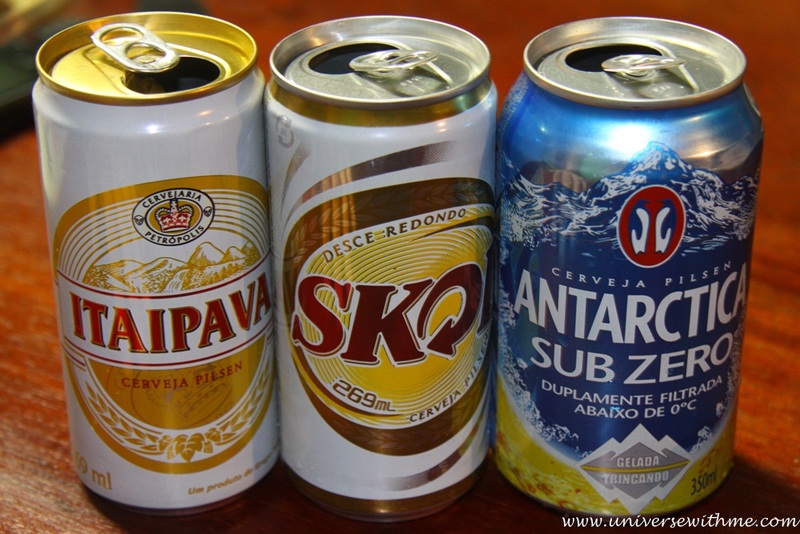 In Paraguay I could see only one kind of Paraguayan beer and most of beers were from other country. But Brazil has many different their own company beers. 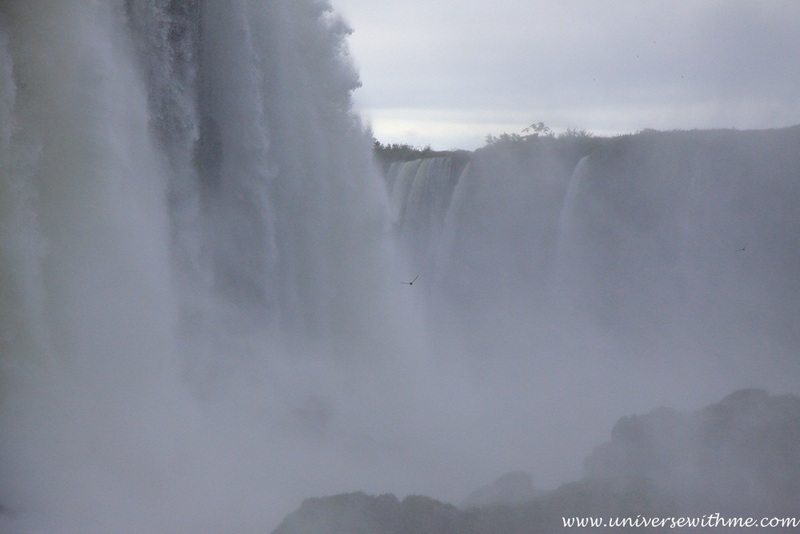 The next day I cross the Argentine border to see Iguassu Falls. Niagara Falls in the U.S-Canada is between the border and it?doesn’t?need to pay to see it. 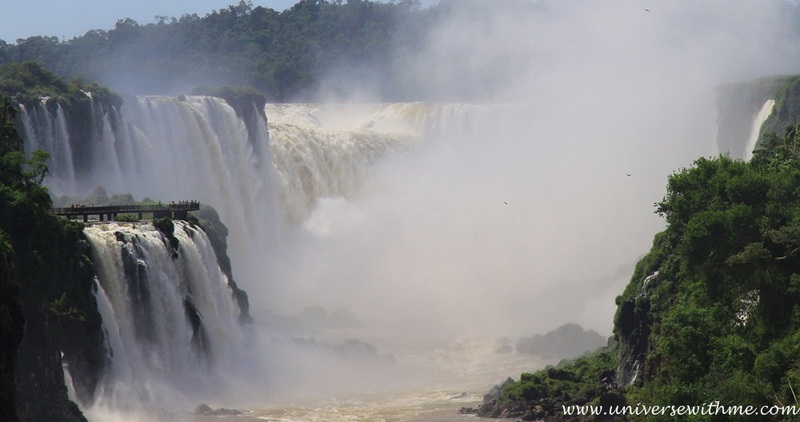 But Iguassu Falls in Argentina-Brazil is far from each border and it needs to pay. 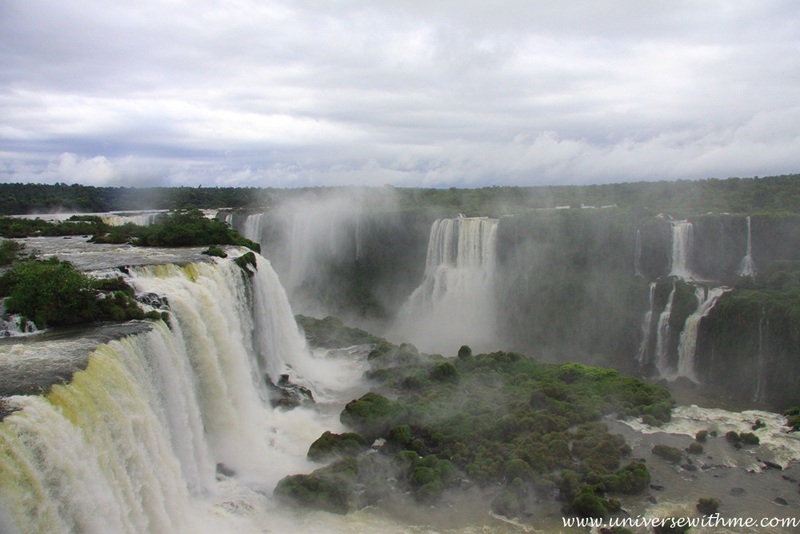 But Iguassu is bigger and wider. 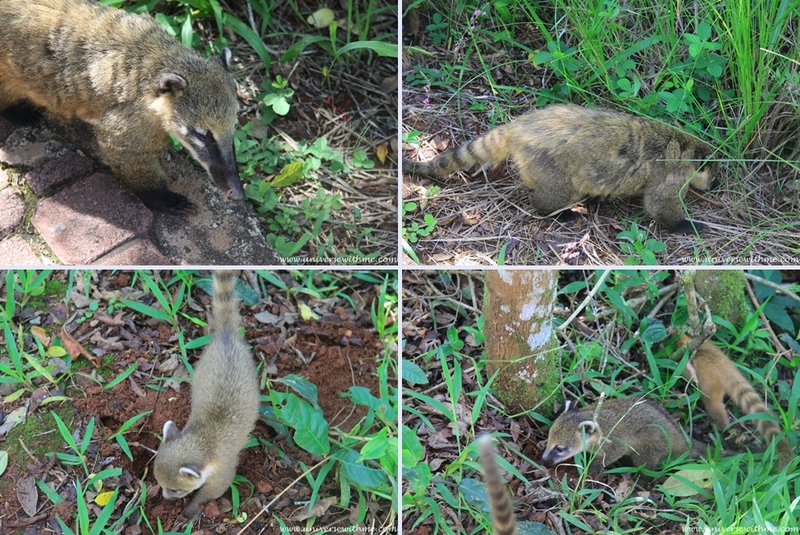 The picture is Coatis, but they are like gang. When I take the picture of them, they attack my plastic bag of which there is some bread and snack. It happens in a second. I feel so lucky that they don’t hurt me, but just steal food. 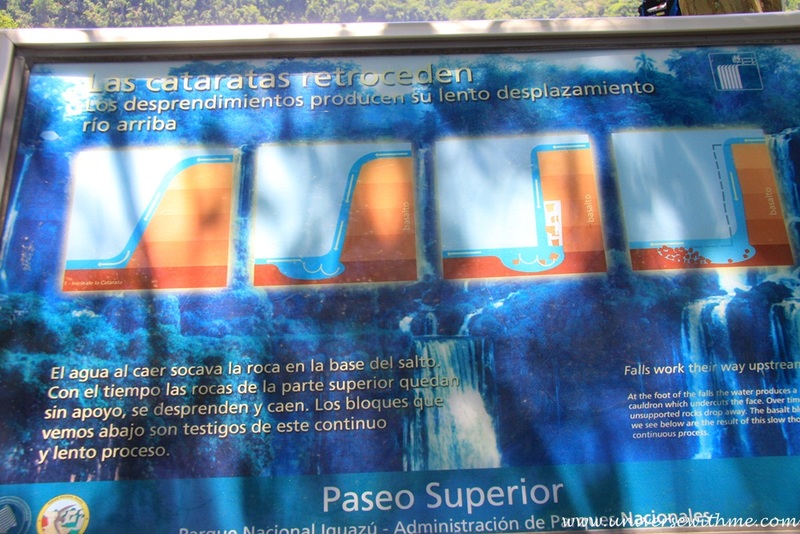 There are many signs in front of grocery that people must be careful of them in Argentine Iguassu Falls. 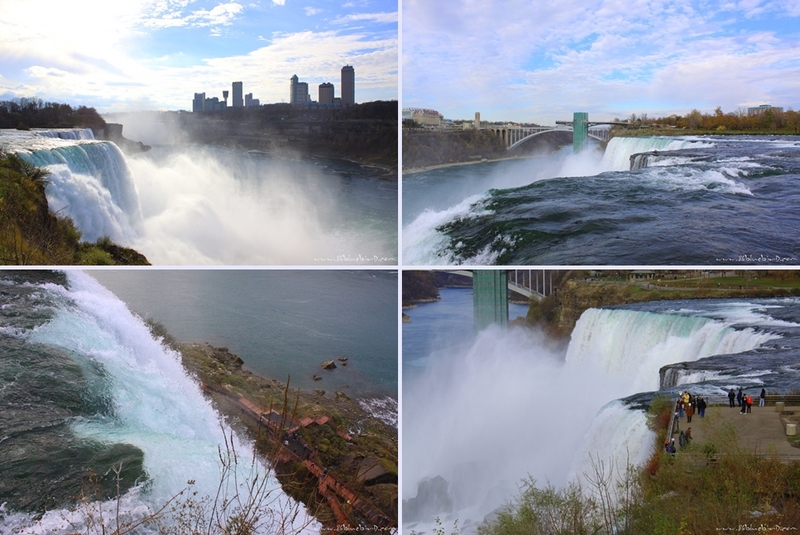 The picture is Niagara Falls of the U.S which I visited on Nov 2010. This is Niagara Falls of Canada. It is more beautiful than in the U.S. This was taken on the Bridge of Canada and the U.S.? ?Okay, let’s see the next falls, Iguassu. 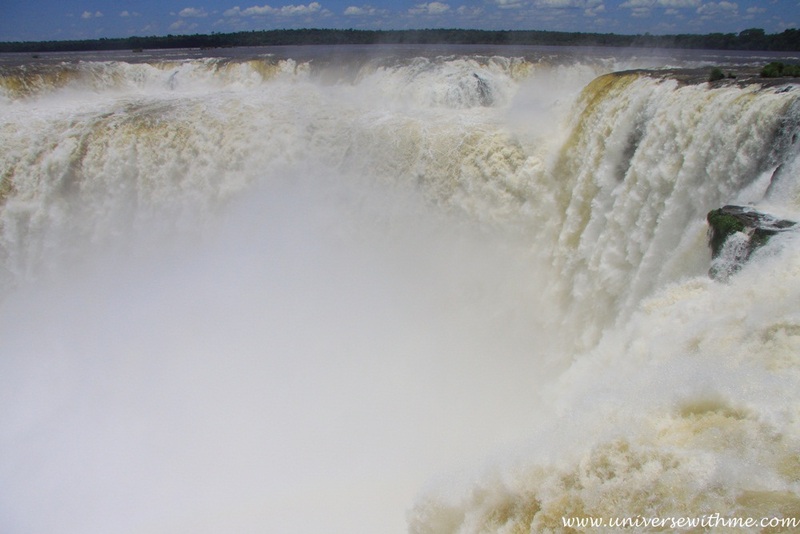 This is Iguassu which is bigger and wider than Niagara Falls. Lots of water makes various animal live around Iguassu. This is an easy explanation of how falls was made. Iguassu Falls is really wide that there are a few points where I can see other small falls. The place which is called Throat of Devil is really super amazing. I feel like I am seeing BLACK HOLE. Much water is falling to the bottom in a second. To see it is as if somebody pulls my soul from the bottom. I totally wet that it is the same as standing the place where rains. 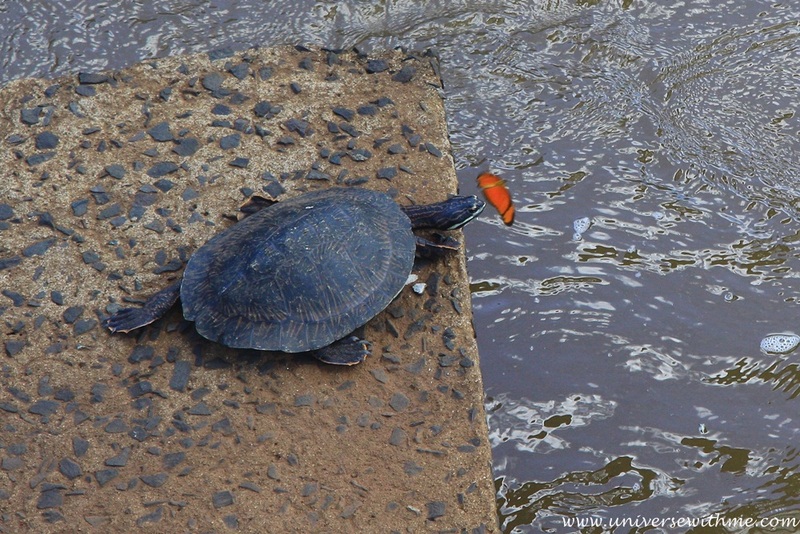 I see a turtle with a butterfly when I am leaving. There are many butterflies that sometime they sit on people’s hand. 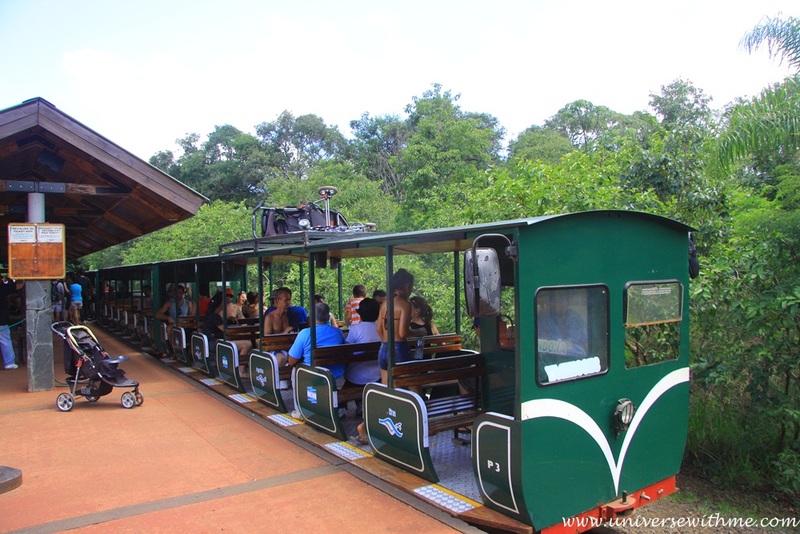 Iguassu is really bigger so that they offer people a train for free. I can reach in 20 minute from the throat of Devil to the entrance by train. 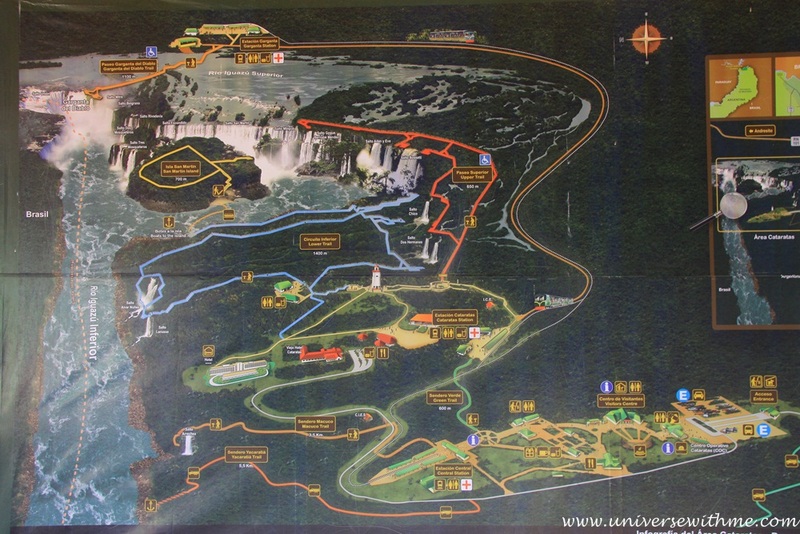 The map of Iguassu in Argentina; I like touring very slowly that it takes whole day to see Iguassu Falls in Argentina. Brazil is different from other Latin America that it is well developed country I think. Price is not cheap, but service is not bad also. 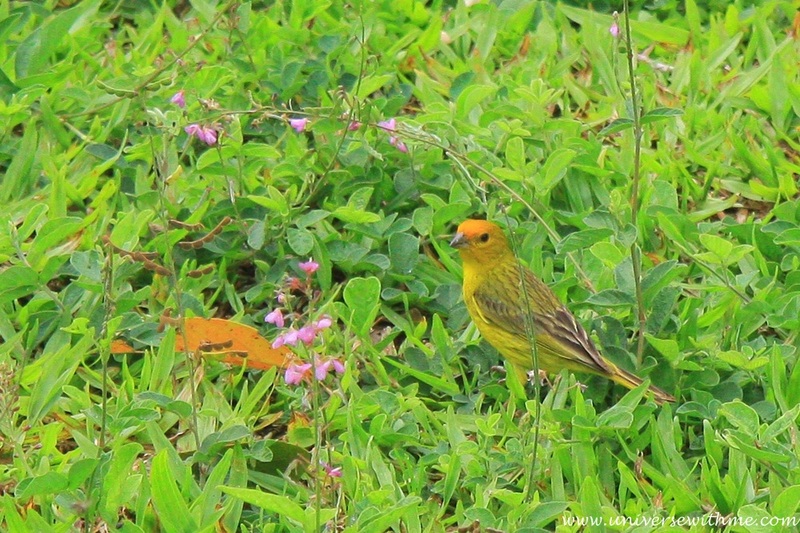 I love watching the bird although I don’t know name of most of them. 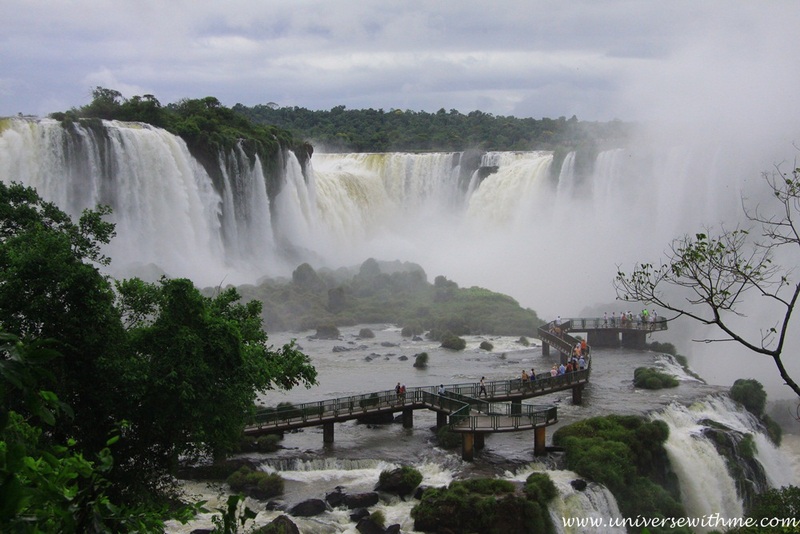 Today I will see Iguassu Falls in Brazil. 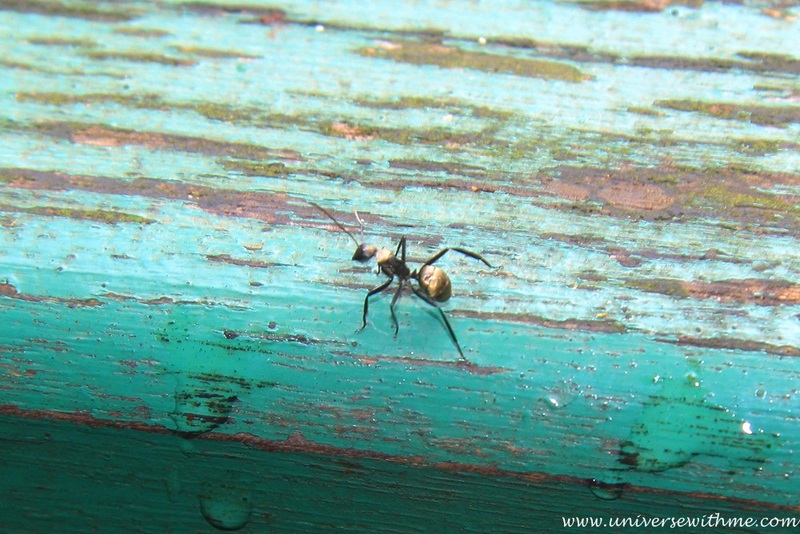 Gold and Yellow hips of ant! 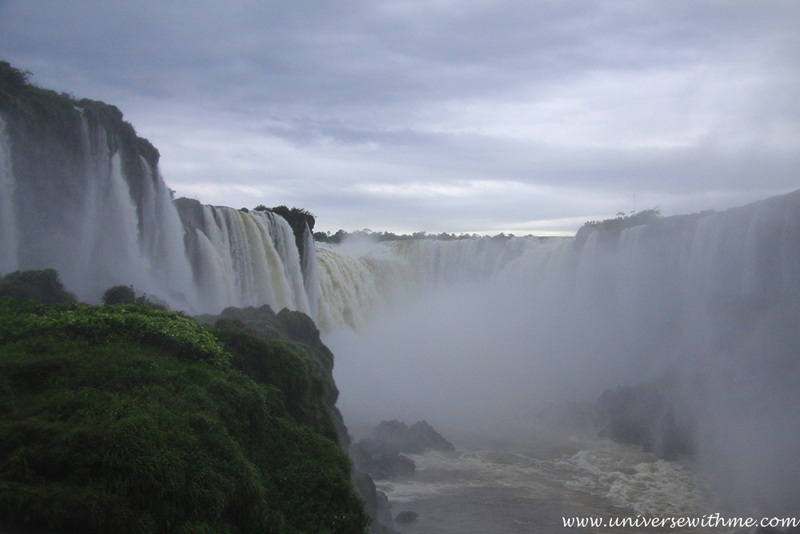 I can see wider Iguassu Falls in Brazil than in Argentina. 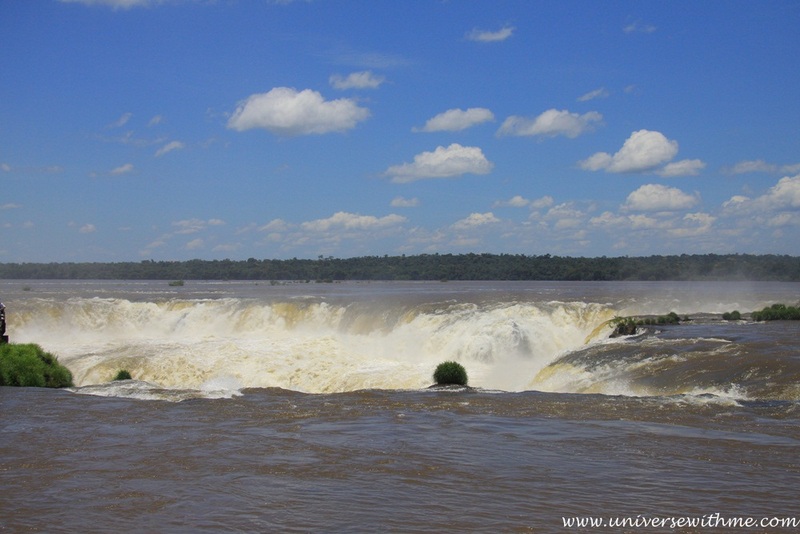 I can see Iguassu to the next Falls in Argentina, but I can see whole of the Falls in Brazil. I think that is the different between them. 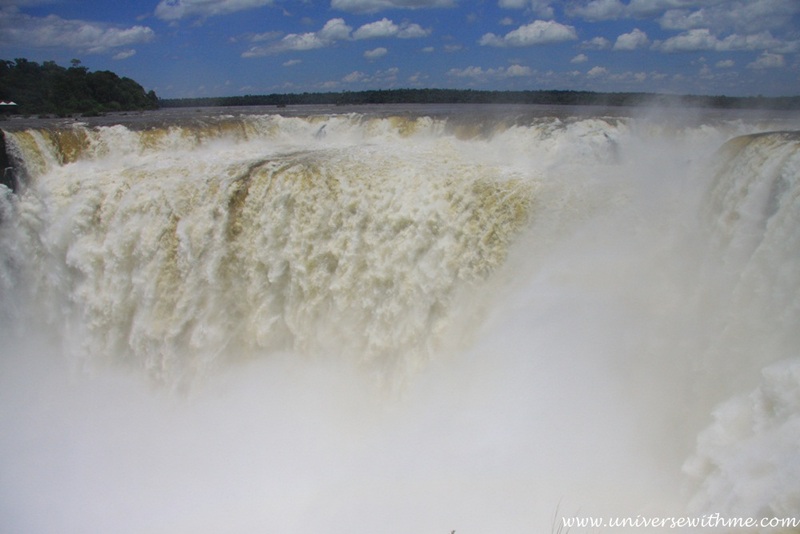 To see Iguassu Falls in Argentina is like falling in Black hole and to see Iguassu Falls in Brazil is like I am in the heaven. It is worth to visit both side of them to see. 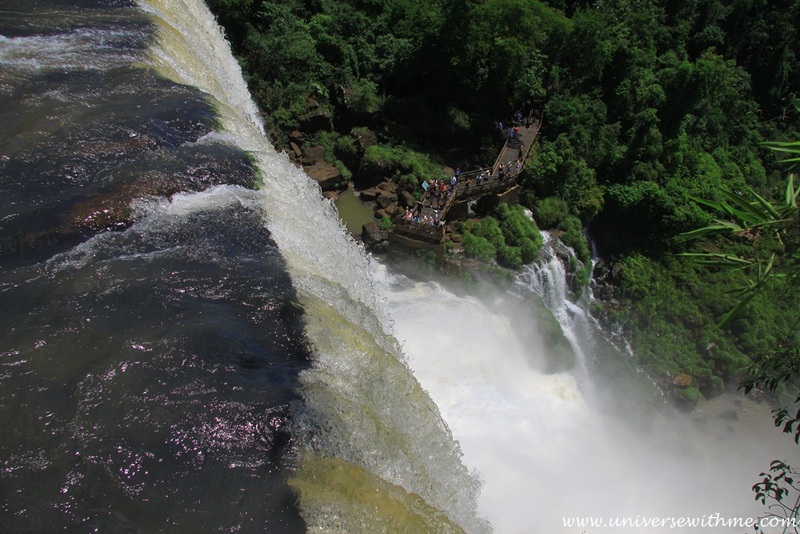 I like both side of Iguassu, because it is different. Actually I feel so frustrated during touring that I see the Korean news about election. Many things are going wrong. I paid 1270$ to go to Africa for the flight. Actually there was 770$ ticket I could buy. But why I bought more expensive ticket? 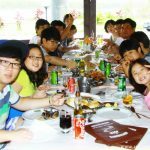 Do I have much money? No. I don’t. Just there is only one reason that I wanted to vote Korean President in the close Korean Embassy from the place I can stay. I think the most important thing is not money, but my philosophy which is to live with right things. It looked so complicated to vote in Africa because of date and route. So I gave up saving much money, but I chose my right. I don’t regret what I gave up although I can’t believe what happened. The only that I feel desperate is what many people did. Specially many young people don’t care about politic! They shout K.O.R.E.A during Olympic and World Cup. But at the most important time they don’t shout and don’t care about it. I want to talk more things, but I will stand for now. 2. Entrance fee (December, 2012) and information of exchange money. – Exchange money in Brazil is better than in Argentina. 3. 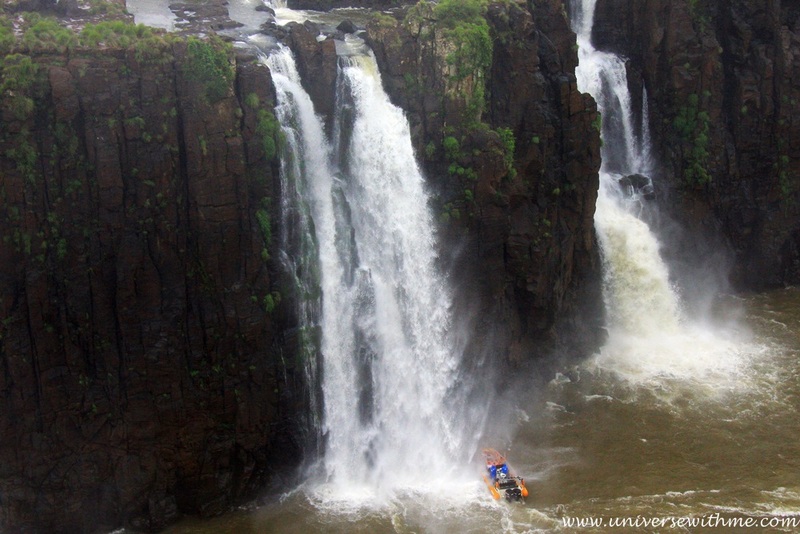 To get Iguassu Falls of Argentina from the Brazil by Bus. 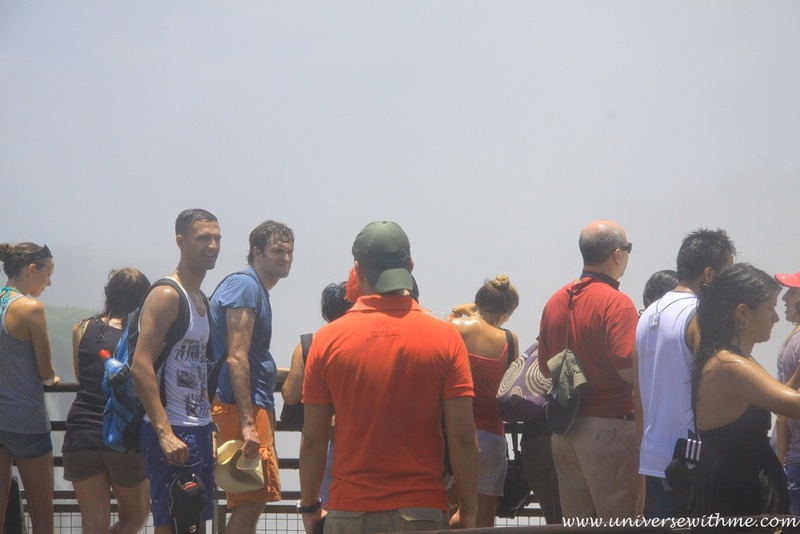 -If you go by car, it will take 30 minutes from the border to one side of Iguassu. But it takes too much time to go by bus. 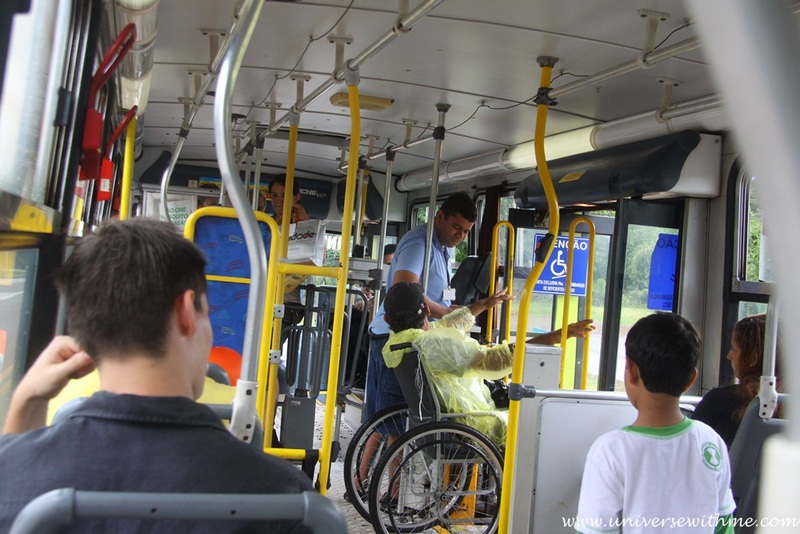 – After 20 minutes bus will stop at the Brazilian Immigration. 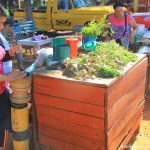 – If you will return to Brazil, you don’t need to stop. 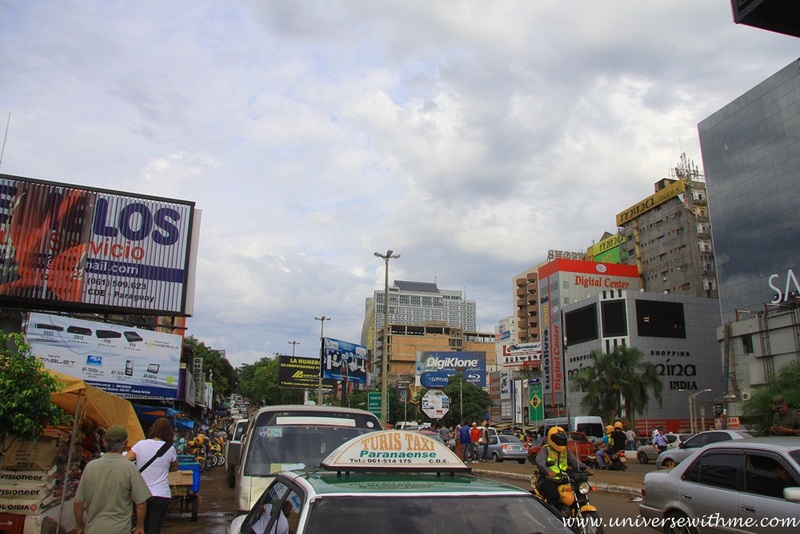 – It takes 5 minutes to 10 minutes by bus from Brazilian Immigration to Argentine Immigration so that it is not good idea to walk from one side to other side of Immigration. 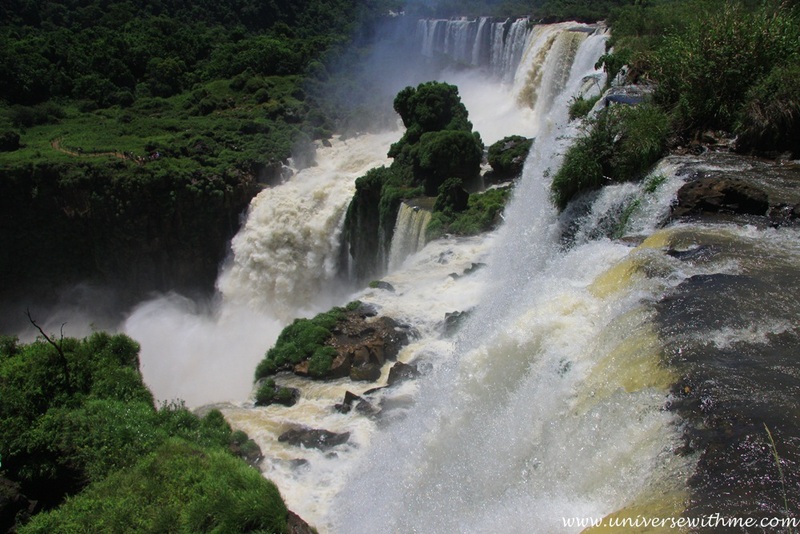 – It will take around 30 minutes from Argentine bus terminal to Iguassu Falls. 4. 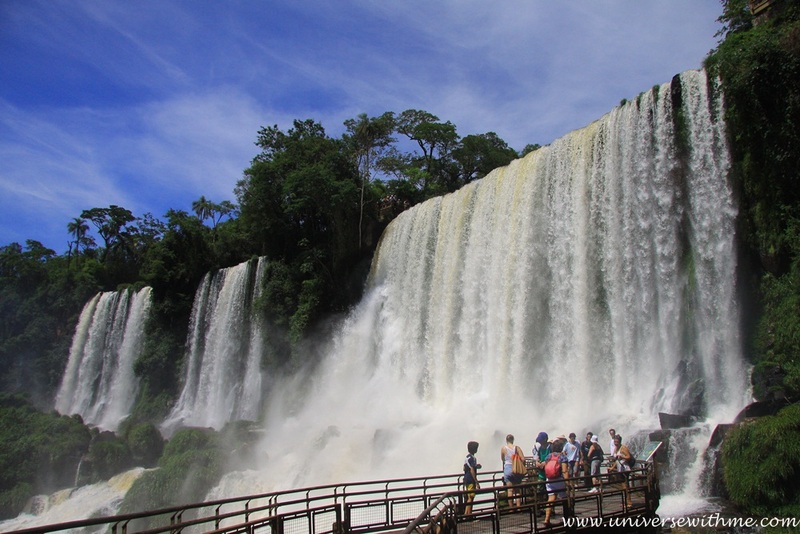 From Brazil terminal to Brazil Iguassu Falls. – It will take about 30 minutes to 40 minutes. Easier. – You can see closer in Argentina, but you can see wider in Brazil. 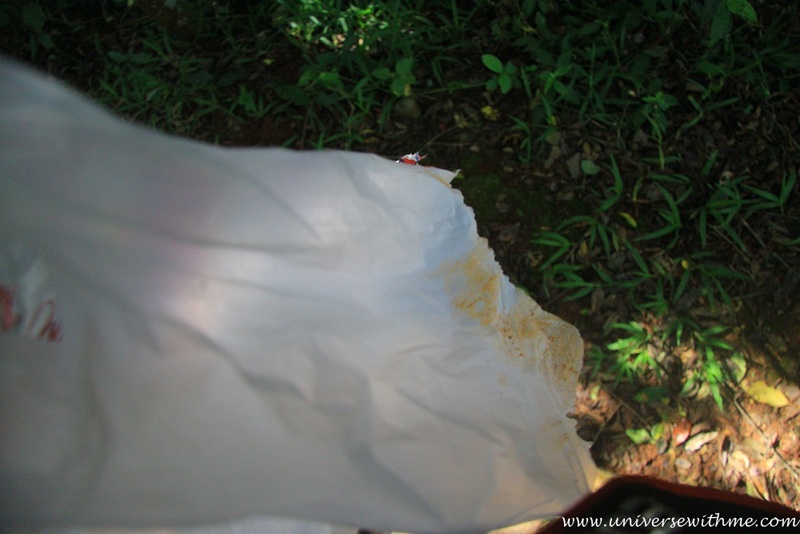 – There is trekking in Argentina and Brazil. It is free in Argentina, but you have to pay extra money in Brazil. – The park is really big that side of Argentina has the free train and side of Brazil has the free bus. You don’t need to wait longer. – You will be burn if you don’t use sun block cream well. – There are many gift shops in Brazil more than in Argentina inside of the park. 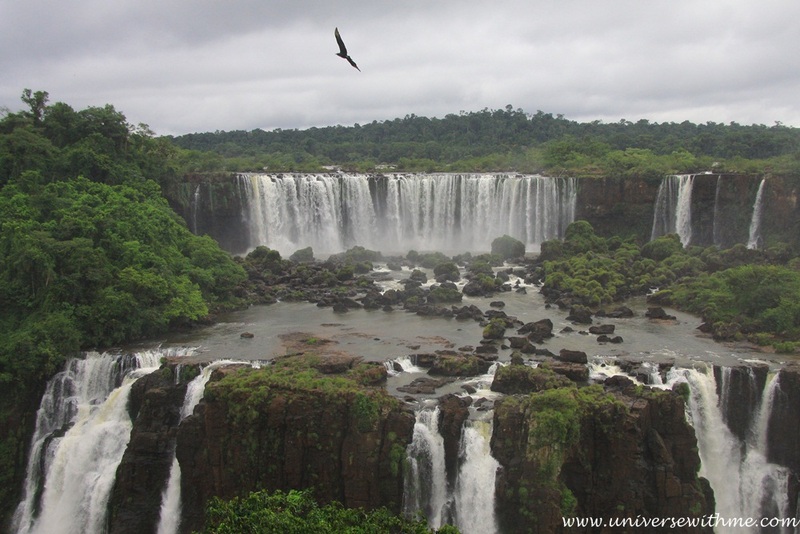 -Iguassu is far from the border of Brazil and Argentina.